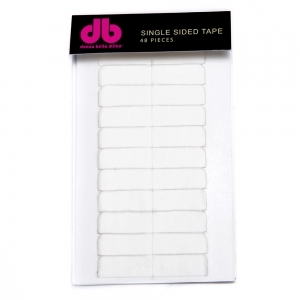 Single Sided Tape is especially designed for women with fine hair. By using half as many Tape-In wefts, the extensions don’t strain thin hair. It’s a weightless, smooth, and gentle solution for a natural look. In a typical Tape-In Hair application, sections of the client’s hair are sandwiched between two wefts of hair. But Single Sided Tape makes it possible to use only one weft per section. The top weft is placed on the hair section as usual, and a strip of Single Sided Tape is placed on the back to seal in the adhesive.